For the last five years, Tuyen Nguyen has been feeding Gauchos by the thousands through the Associated Students Food Bank. What began as a skeleton crew of herself and several students has turned into an intensely cross collaborative affair, the first meeting of which was held on Friday in the Associated Students Annex with over 20 representatives from the Global Food Initiative, Housing and Residential Services and even the library. Tuyen first discussed the findings of the 2015 UC Global Food Initiative Study, which revealed in glaring detail the gaps that many knew existed. Out of approximately 9,000 students surveyed, 42 percent reported experiencing some measure of food insecurity. Fifty-seven percent of those classified as food insecure reported that it was the first time they had experienced such instability. 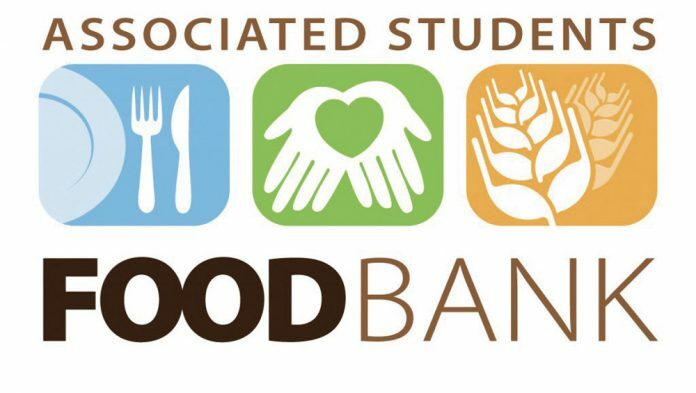 In response, the A.S. Food Bank launched the Food, Nutrition, and Basic Skills Program in early 2016, a series of free workshops that educate students on the best ways to prepare healthy foods, shop on $50 a week and take advantage of campus resources. Its workshop on Monday taught students how to prepare fresh and sustainably-sourced pasta. For others, of course, the root of their food insecurity extends beyond a lack of kitchen or financial planning skills. The A.S. Food Bank team is working hard to make resources visible and accessible to undergraduate and graduate students by heavy promotion of the CalFresh program. For those who qualify for work-study or work upwards of 20 hours a week, the program provides a monthly balance of up to $196 for groceries. “We have approximately 10,000 students on campus right now who qualify for work study. It is crucial that we reach out to these students and let them know that this service is available,” said Chair of the Food Security Working Group Mike Miller. He added that students who don’t have work-study but need help should contact his office. Many present at Friday’s meeting also expressed a troublesome irony of individuals struggling with food insecurity who refused subsidy programs in order to preserve resources for those who need it more. And even in spite of the hesitance, and as an indication to the program’s success, SB County Food Pantry representatives went from bi-monthly on-campus CalFresh visits to offering four locations multiple times a week due to campus demand. As subsidy programs like CalFresh become more popular, the Emergency Financial Crisis Response Team, as a subcommittee of the chancellor’s office, are joining the effort to further relieve the burden of university expenses. With a budget of $100,000, this campus-sponsored meal voucher and food subsidy program is similar to a program that has helped UCLA graduation rates spike over the last several years, according to Miller. With a program well-versed in adapting to the needs of students, going so far as to add a list of “culturally relevant” ethnic markets for international students, all A.S. Food Bank team members also emphasized the growing collaborative effort required to ensure that all Gauchos are fed. In collaboration with Housing and Residential Services, A.S. Food Bank will be on the move, offering a weekly mobile pantry with all the goods at San Clemente and Sierra Madre apartments. Student advocate Hannah Houska touched on the move towards sustainability on campus with the UCSA Save Our Students Campaign, while others continue work on the edible campus program, which for now includes citrus trees in Storke Plaza but will eventually lead to a 10,000 acre farm. Even the library is pitching in with new food and farming-centric journal subscriptions to help with food security research and newly added options to the weekly campus farmers market. At the end of the day, John Lazarus, Assistant Director of Dining Services and an integral part of the GFI team, urged all to take the definition of hunger in a new light.